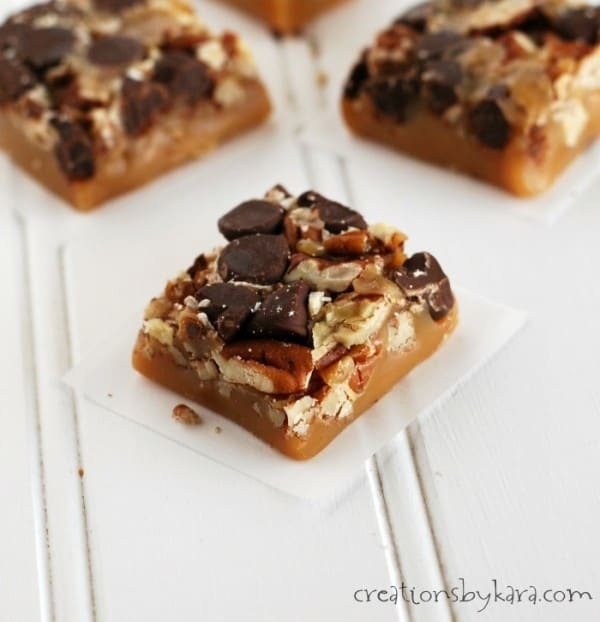 Chocolate Chip Pecan Caramels . . . if you love turtle candies, you have got to try this recipe for caramels. They are easy, but absolutely decadent! 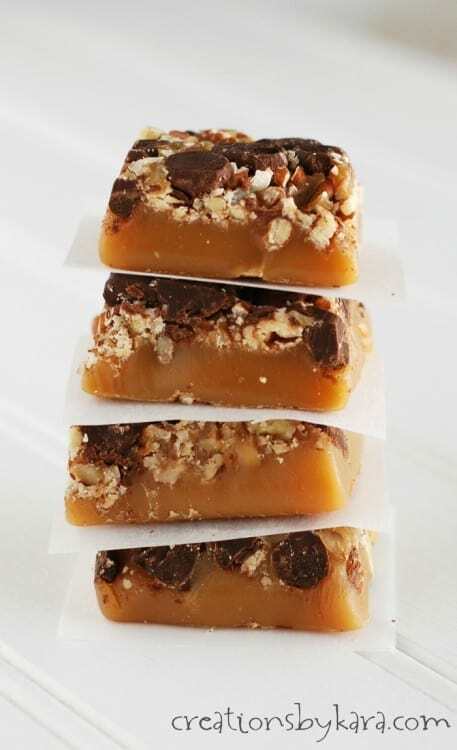 When I stumbled across this Chocolate Chip Pecan Caramels recipe in one of my cookbooks, I just knew I had to try it. They looked so yummy! This was my first time making homemade caramels, and it was really quite easy. I couldn’t find my dang candy thermometer, so I had to use the old fashioned method of dipping a small amount of caramel into a glass of cold water. They still turned out though, so if you are a beginner like me, you should have no problems. Especially if you have a functional candy thermometer. I can’t even tell you how yummy these are. Some of the best homemade caramels I have ever tried! 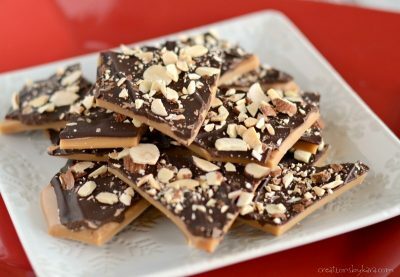 I love homemade caramel on its own, but add in some chocolate and nuts, and I’m in candy heaven. 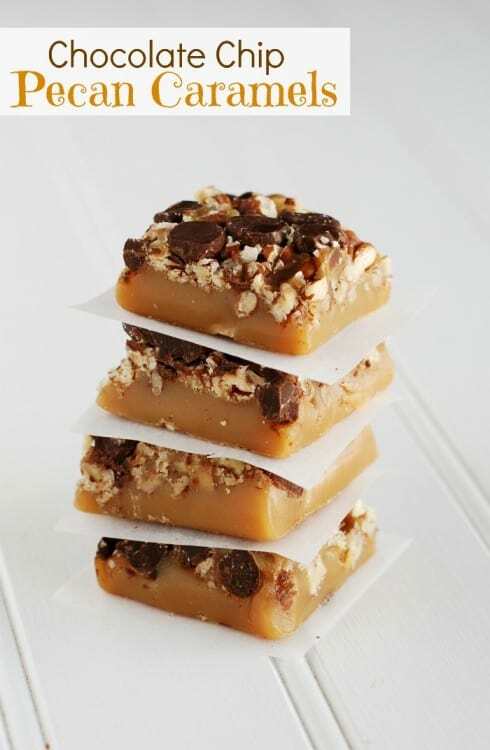 Buttery homemade caramels made even more delicious with pecans and chocolate chips. Line a 13-in. x 9-in. baking pan with foil; butter the foil with about 1 Tbsp butter. Sprinkle with pecans and chocolate chips; set aside. In a heavy saucepan, melt the one cup of butter over medium heat. Add brown sugar, corn syrup and water. Cook and stir until mixture comes to a boil. Stir in sweetened condensed milk. Cook, stirring constantly, to firm ball stage (248 degrees). Remove from heat and add vanilla. Pour into prepared pan (do not scrape saucepan). -You're not supposed to scrape the saucepan, because grains of sugar on the side can cause your caramels to crystallize. But I couldn't just let all that caramel go to waste, so I scraped it into a small buttered custard cup. We ate it in like 5 seconds flat. Mmmm. -Make sure you used sweetened condensed milk, not evaporated milk. There is a huge difference! These are delicious! 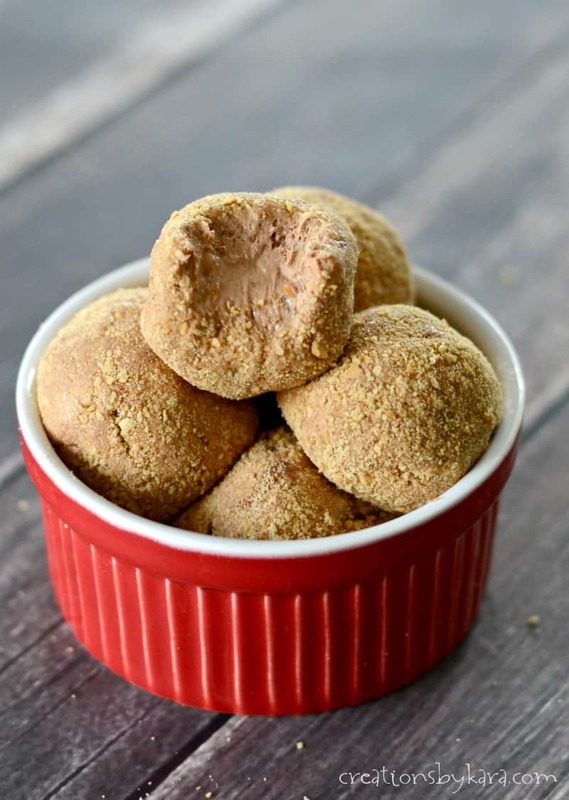 This recipe is going on my Christmas treat list! 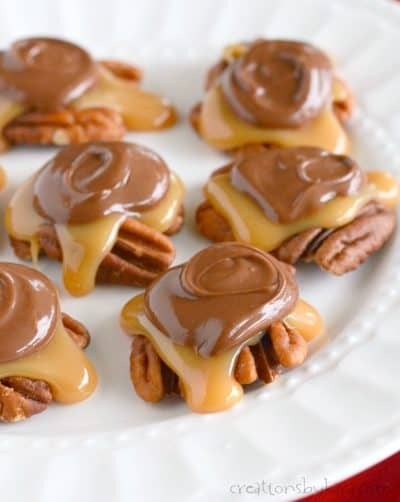 Three of my favorite things- chocolate, pecans and caramel! This would be perfect for holiday neighbor gifts. Oh wow!! 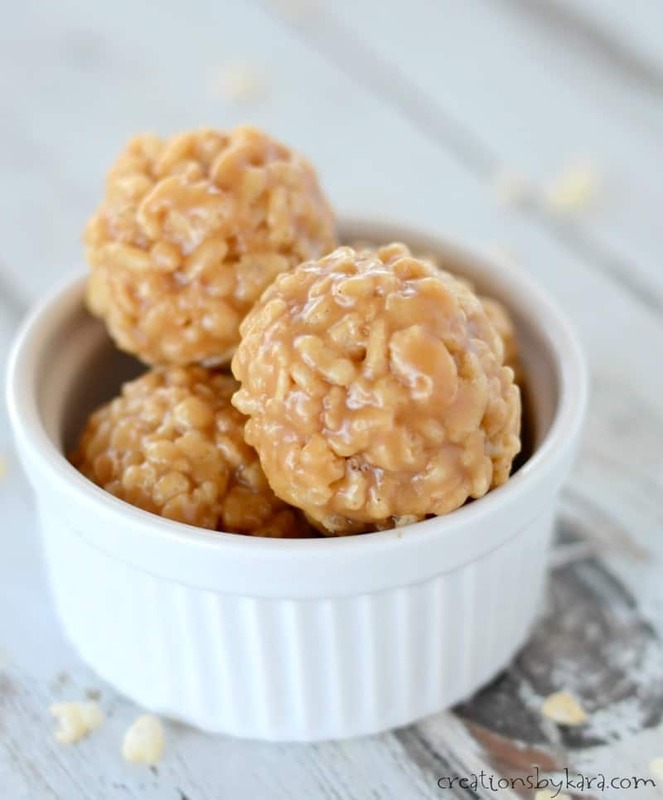 These look perfect for my sweet tooth! 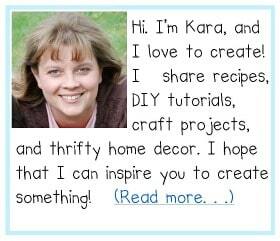 Will make for the holidays! These look so tasty! I LOVE anything with pecans!! when there is brown sugar already in this candy recipe. Please e-mail me a response to the address I provided below.